For shopping fun, head to Market Square Kauppatori or Artisaani. Visit Rock Church and Sea Fortress Suomenlinna for their historical value. Step out of Helsinki to go to Espoo and see Nuuksio National Park, which is approximately 46 minutes away. The adventure continues: pause for some serene contemplation at Helsinki Cathedral, browse the different shops at Kamppi Shopping Centre, take a stroll through Katajanokka, and contemplate in the serene atmosphere at Uspenskin Cathedral (Uspenskin Katedraali). For where to stay, reviews, other places to visit, and other tourist information, refer to the Helsinki trip builder . Edmonton, Canada to Helsinki is an approximately 15-hour flight. Traveling from Edmonton to Helsinki, you'll lose 9 hours due to the time zone difference. Expect slightly colder weather when traveling from Edmonton in June: highs in Helsinki hover around 21°C, while lows dip to 11°C. Finish up your sightseeing early on the 4th (Tue) so you can travel to Koli National Park. On the 5th (Wed), take an unorthodox tour of Uhrihalkeama, then tour the pleasant surroundings at Akka-Koli Hill, and then tour the pleasant surroundings at Paha-Koli Hill. 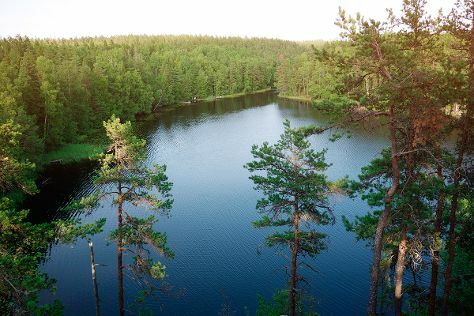 Get ready for a full day of sightseeing on the next day: hike along Kolinuuron kierros Nature Trail, then trek along Ukko-Koli Hill, and then contemplate the waterfront views at Pielinen. To find photos, maps, more things to do, and tourist information, use the Koli National Park online travel route planner . Use the Route module to find suitable travel options from Helsinki to Koli National Park. 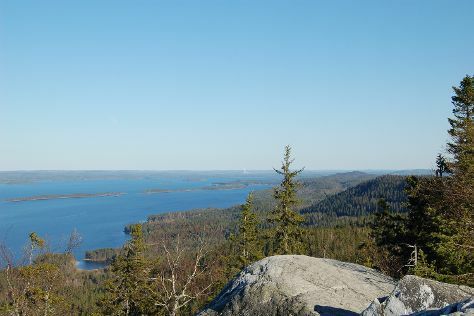 In June, daily temperatures in Koli National Park can reach 20°C, while at night they dip to 10°C. Wrap up your sightseeing on the 6th (Thu) to allow time to travel to Pori. Pori is a city and municipality on the west coast of Finland. 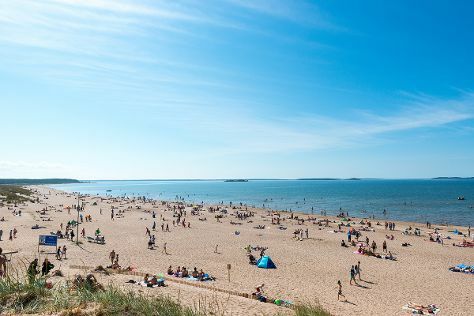 Start off your visit on the 7th (Fri): take in the exciting artwork at Pori Art Museum, then kick back and relax at Herrainpaivat Beach, and then enjoy the sand and surf at Yyteri Beach. Find out how to plan Pori trip without stress by asking Inspirock to help create an itinerary. You can drive from Koli National Park to Pori in 7 hours. Alternatively, you can fly. June in Pori sees daily highs of 20°C and lows of 10°C at night. On the 8th (Sat), you'll have the morning to explore before heading back home.